The inspection of the heating system includes, type of installed heating equipment , the vent systems, flues and chimneys. 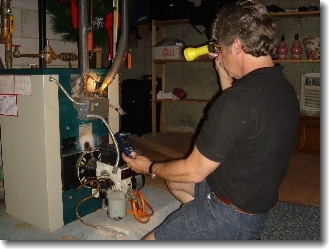 The energy source (gas, oil, or electric), and the type of heating method by its distinguishing characteristics. The inspection does not include, the interiors of chimneys or flues which are not readily acessible, the furnace heat exchanger. The humidifier or a dehumidifier, electronic air filter, or solar space heating equipment.